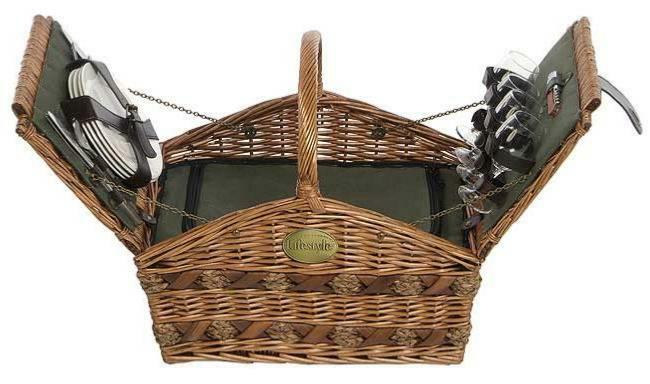 Real willow hamper packed with everything you need for a BBQ picnic. 12 piece stainless steel cutlery set. 1 cooling bag / compartment. Willow Picnic Hampers Great for Gifts and Presents.